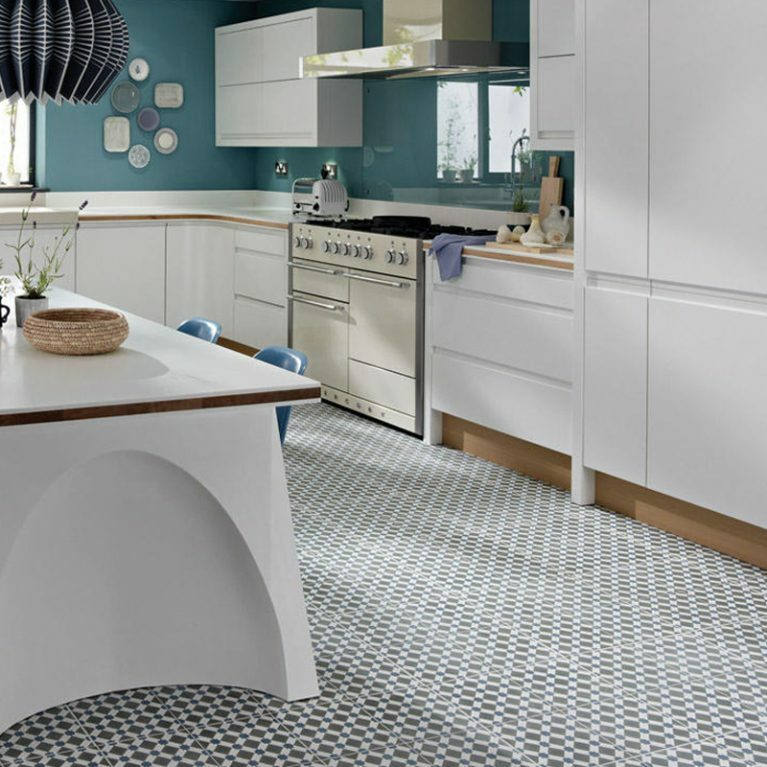 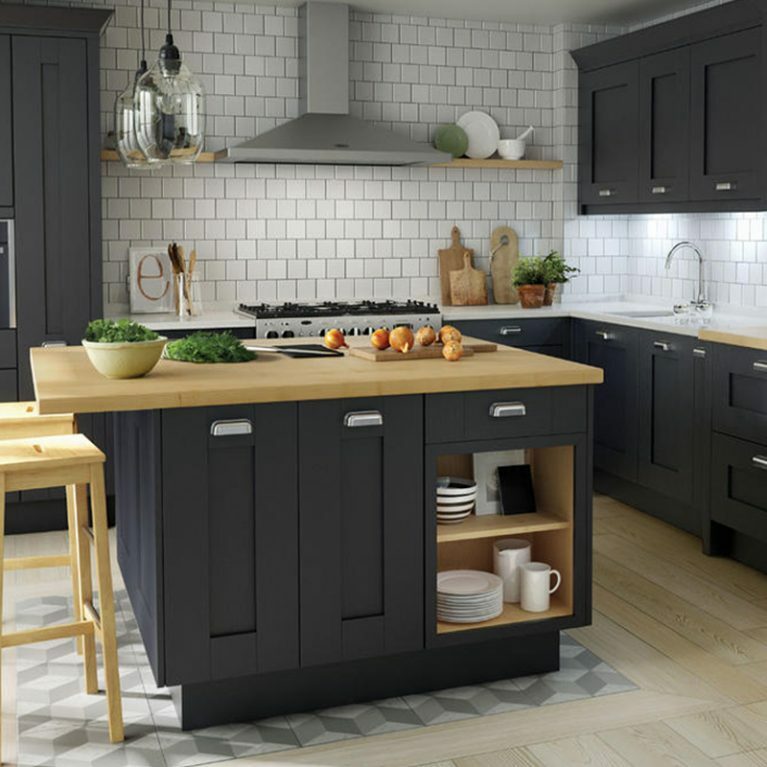 If your dream kitchen has a gorgeous and classic country kitchen look and feel, then you’ll fall head over heels for the Mornington Beaded. 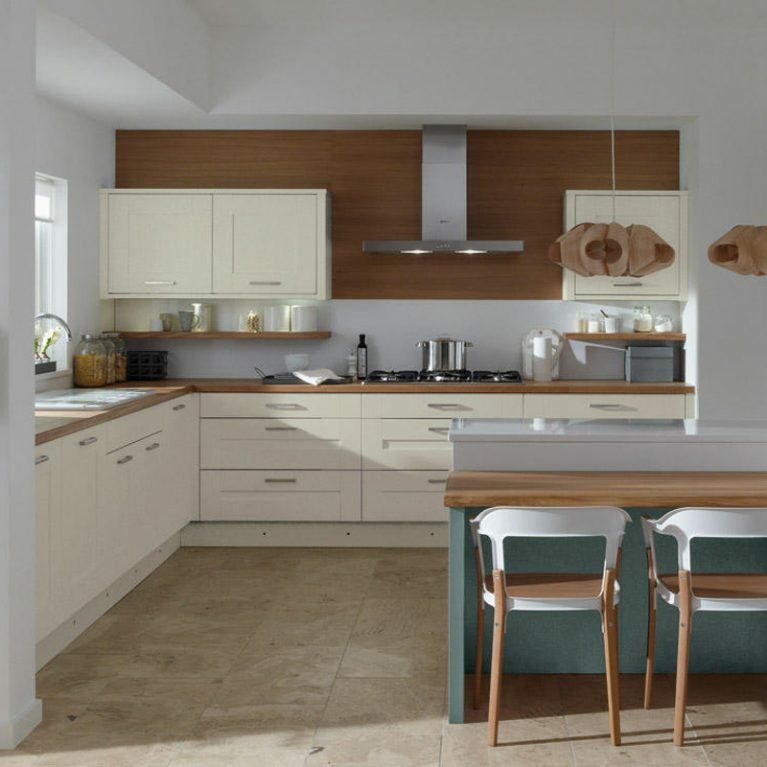 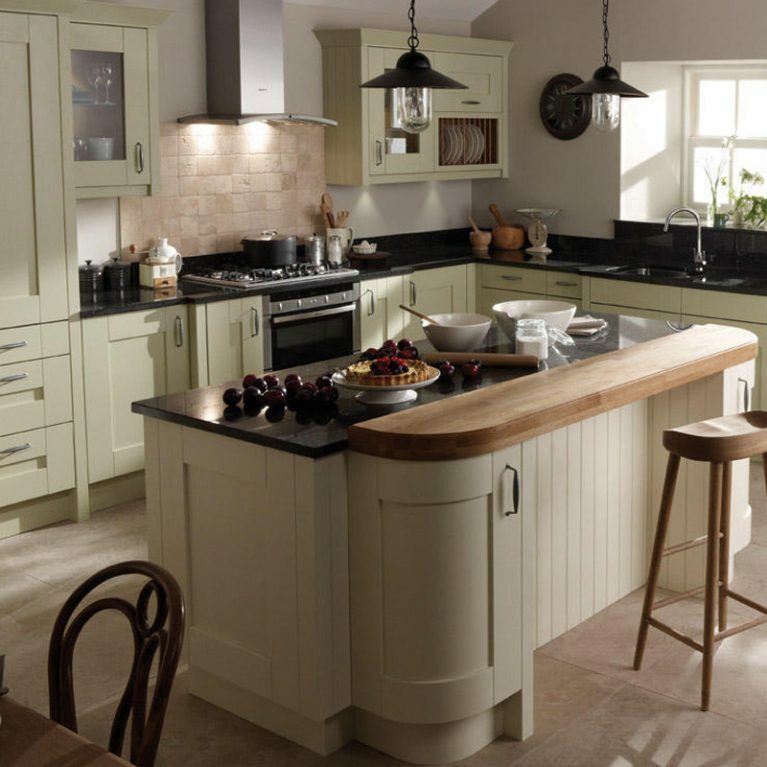 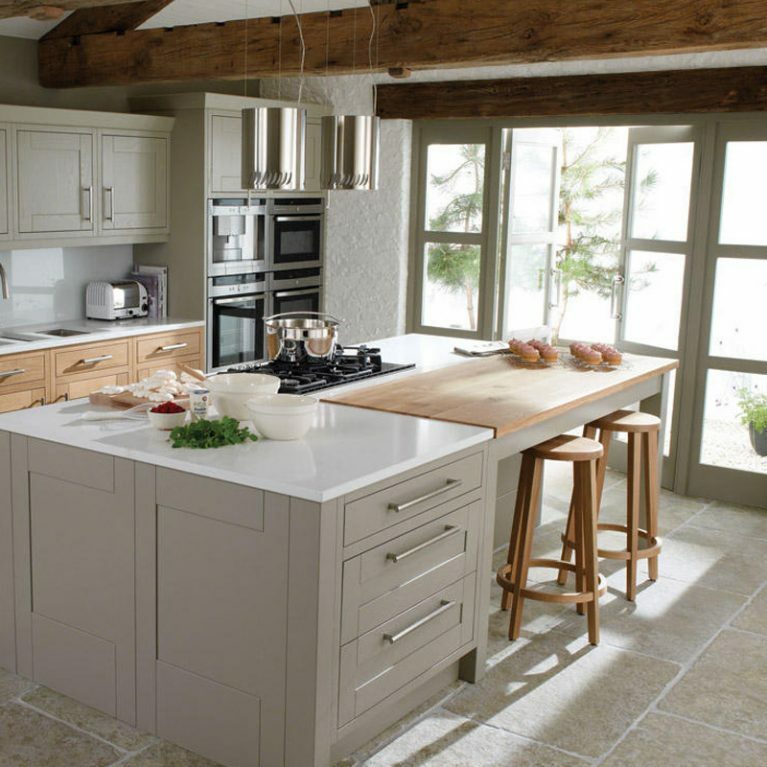 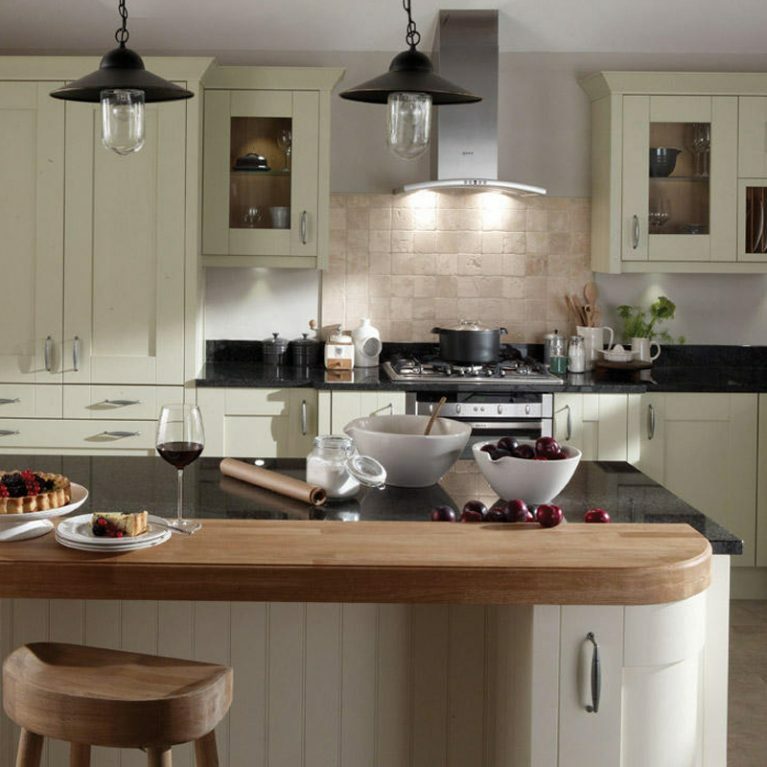 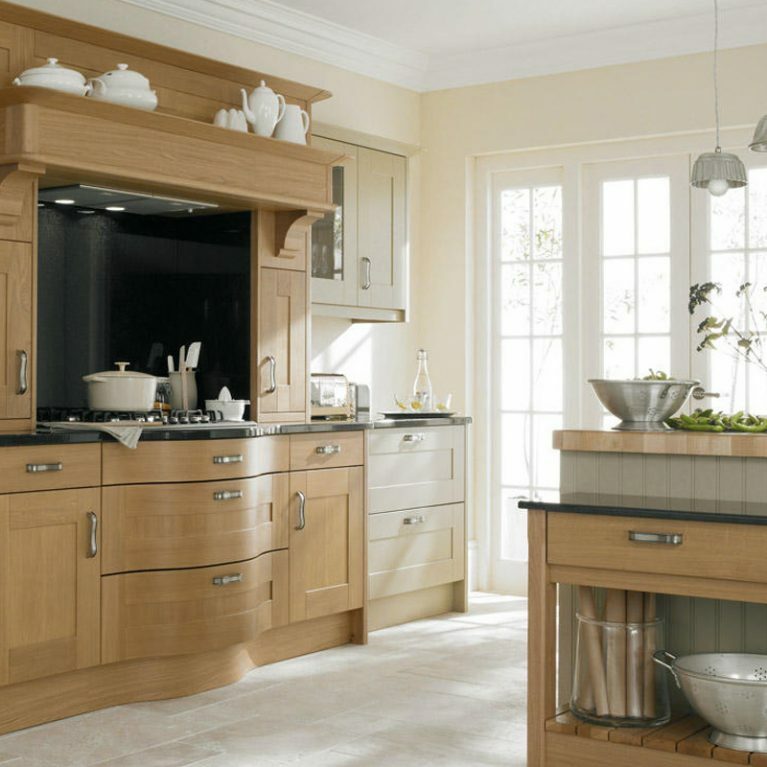 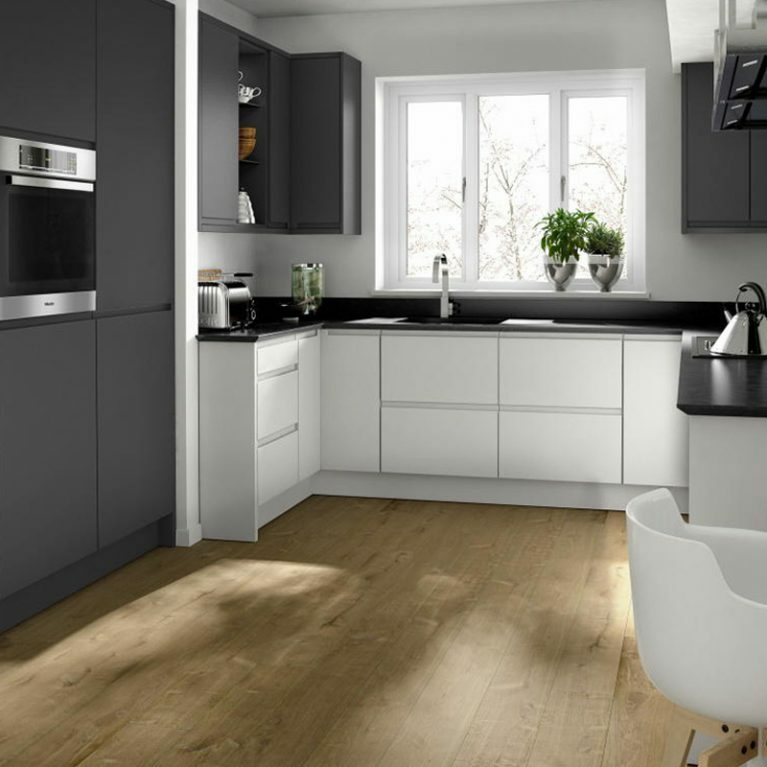 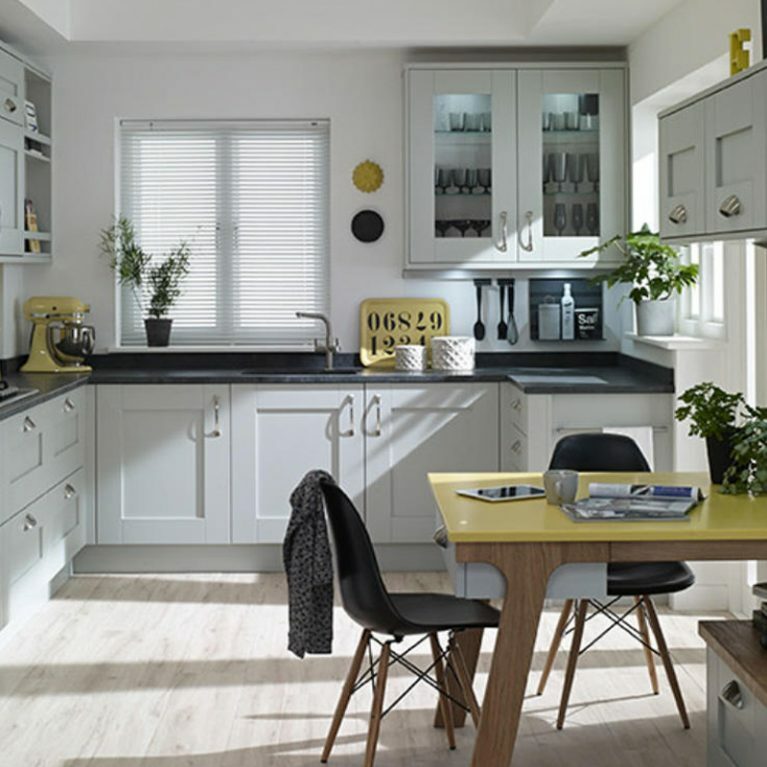 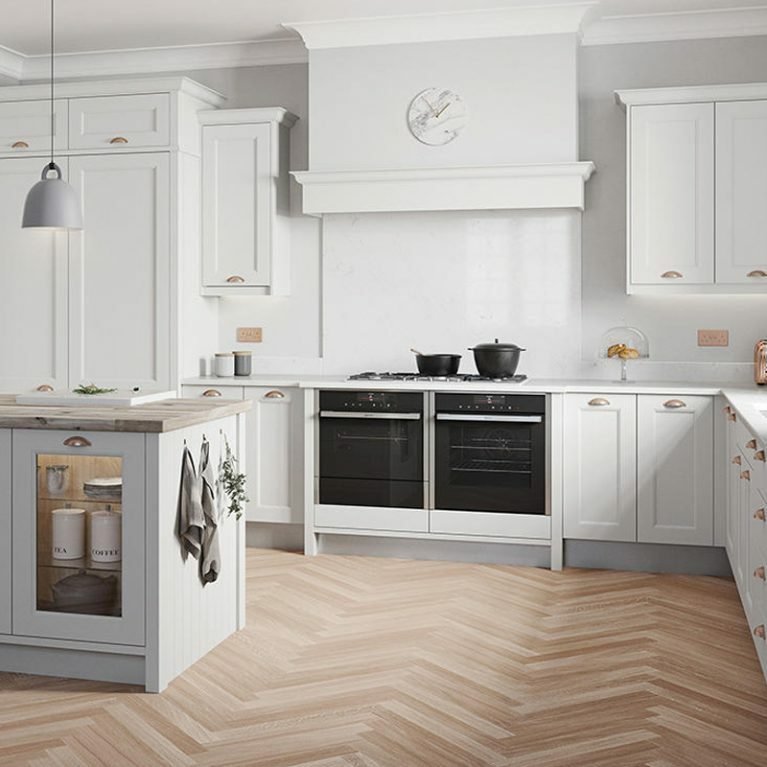 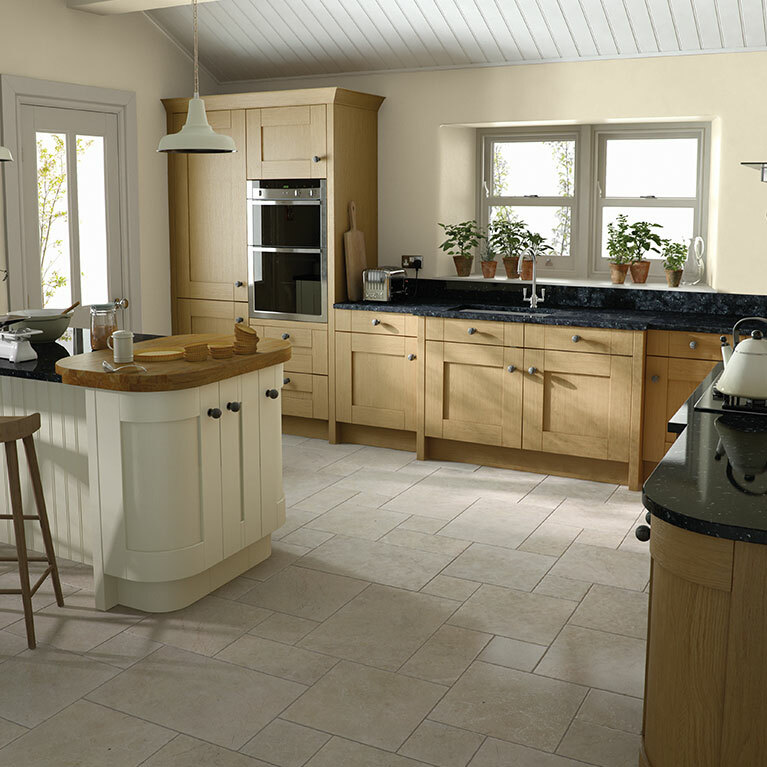 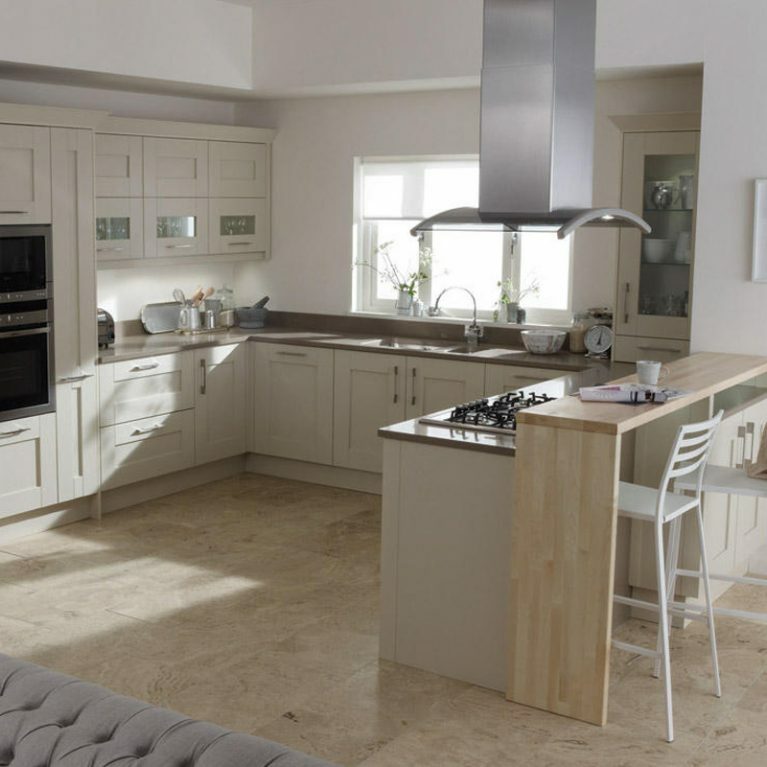 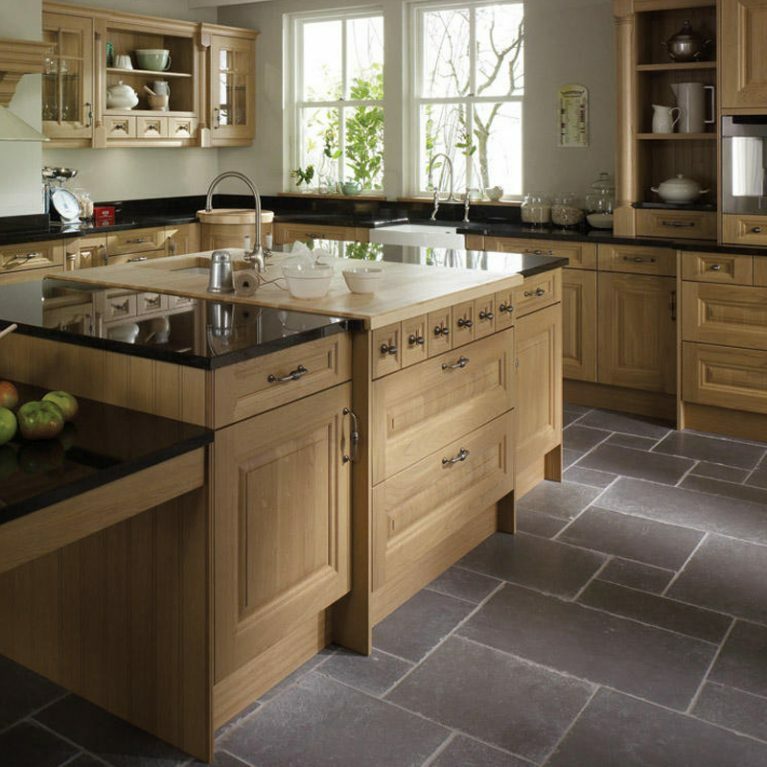 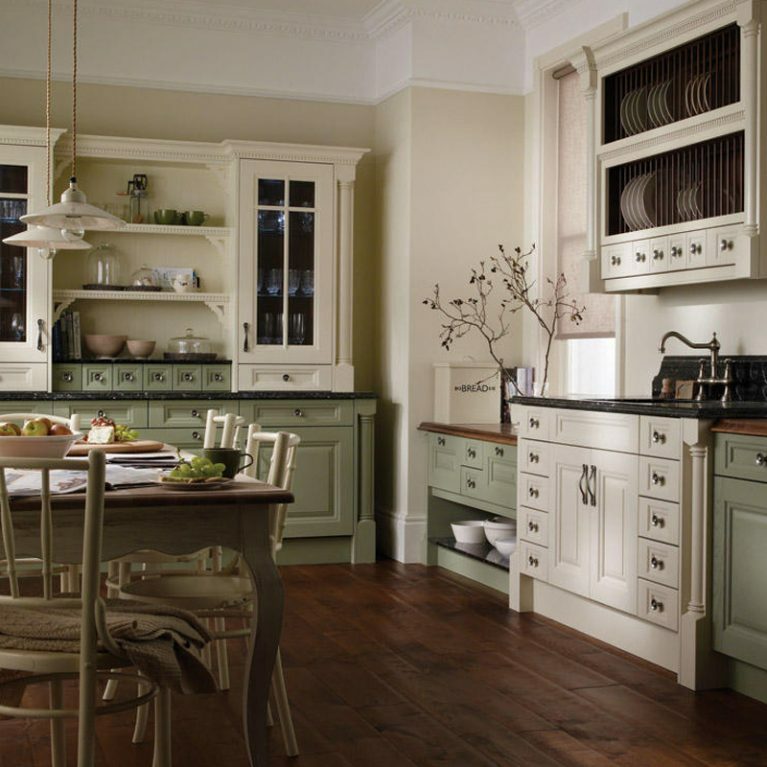 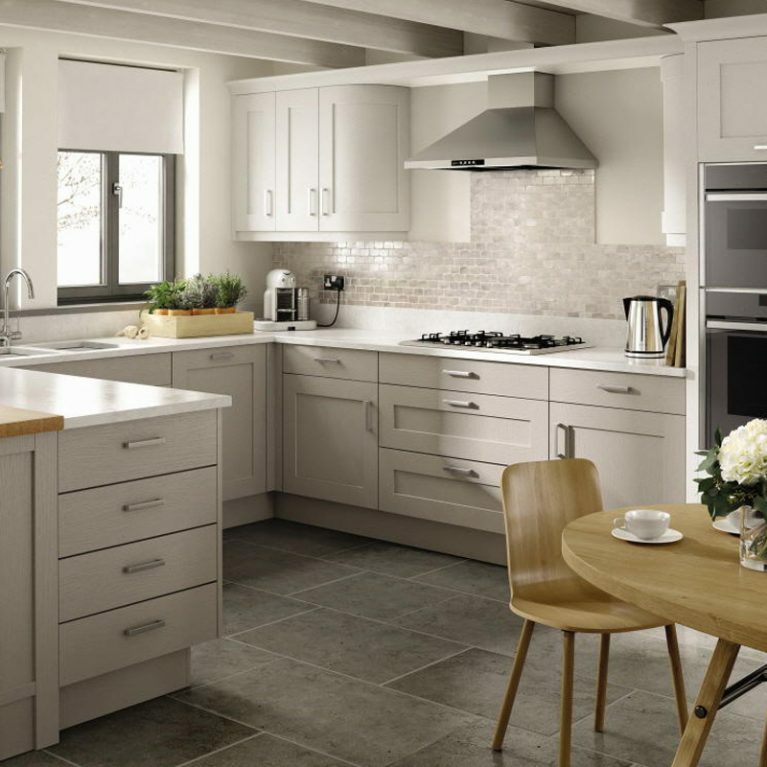 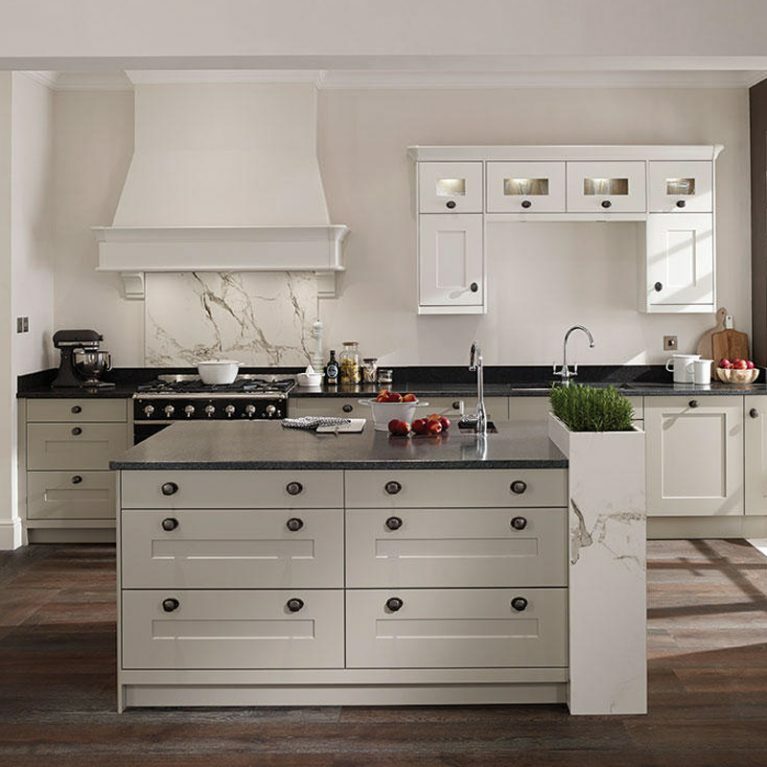 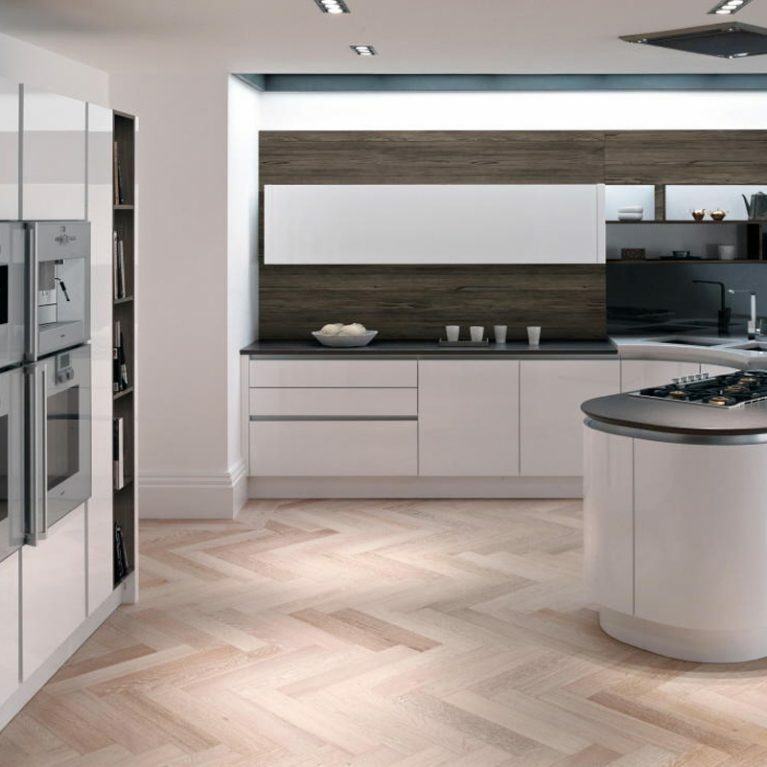 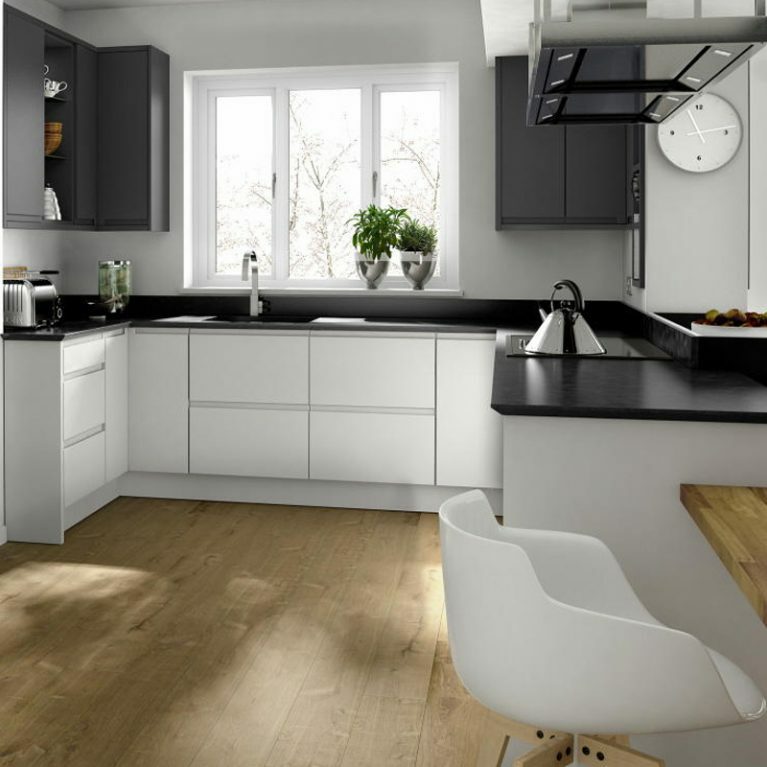 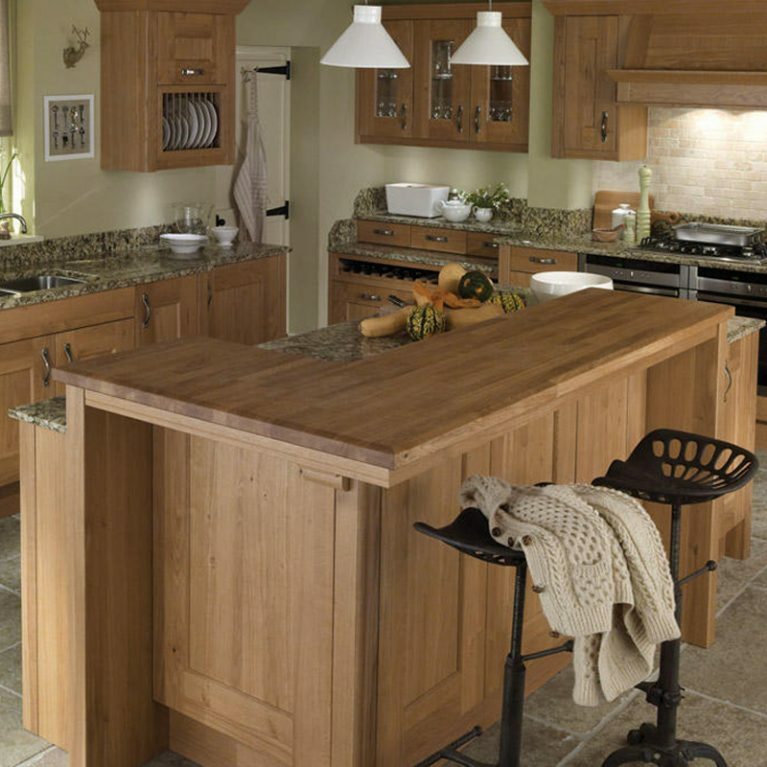 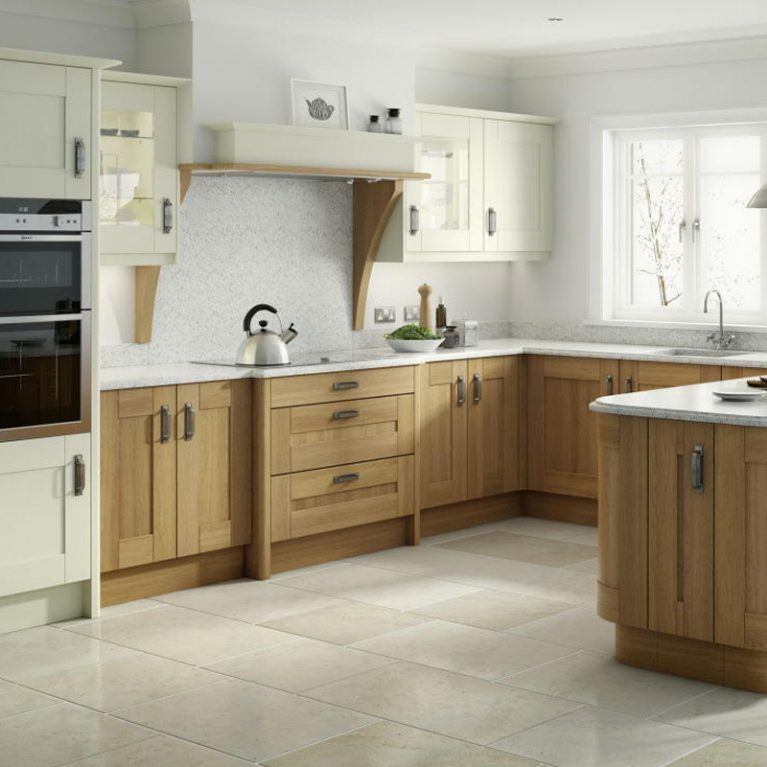 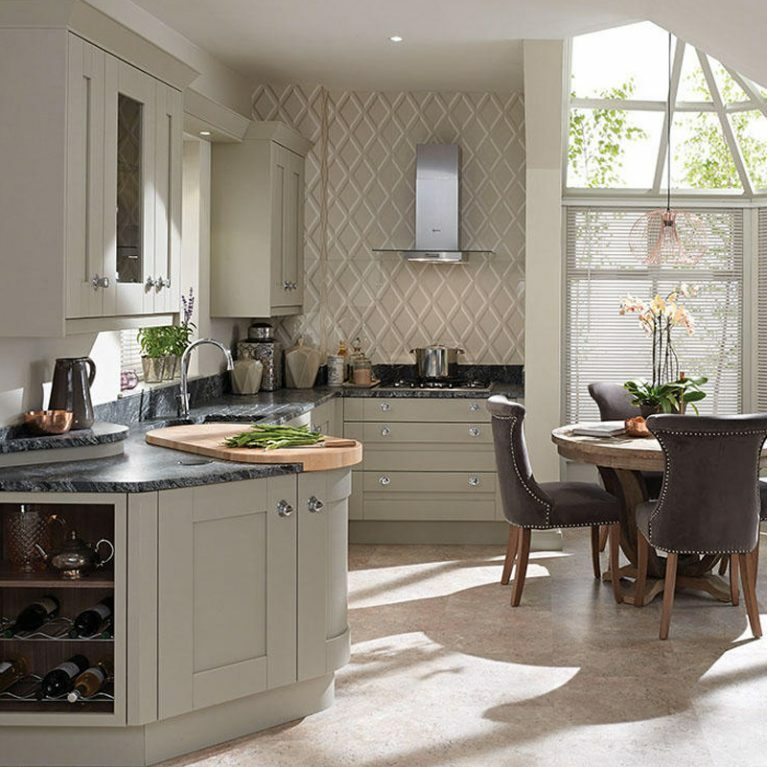 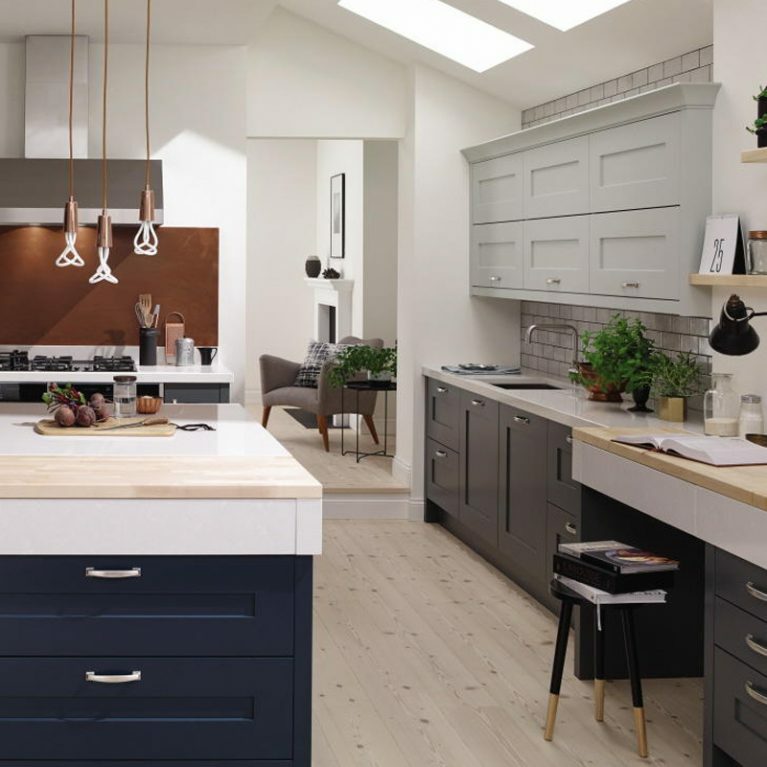 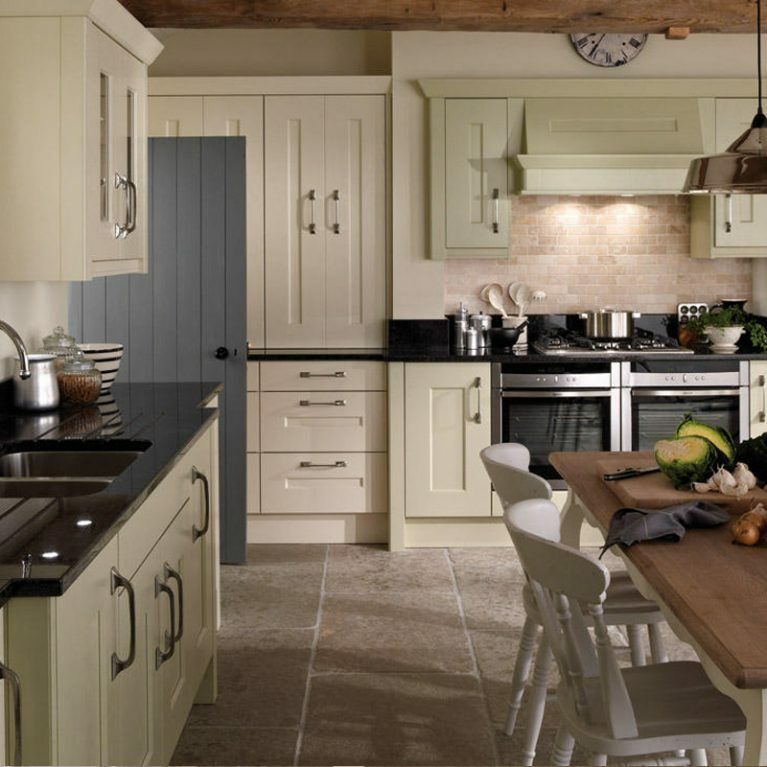 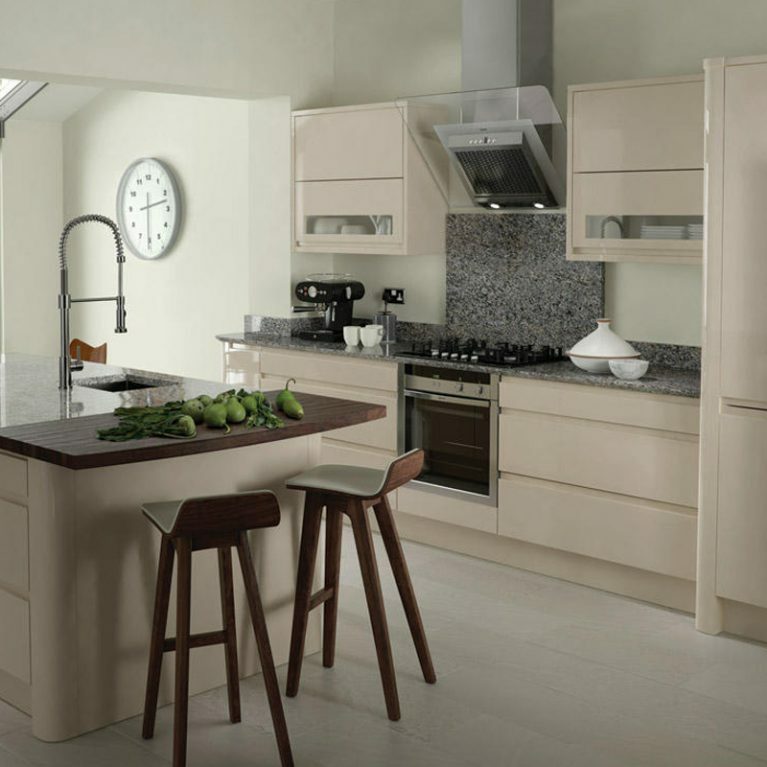 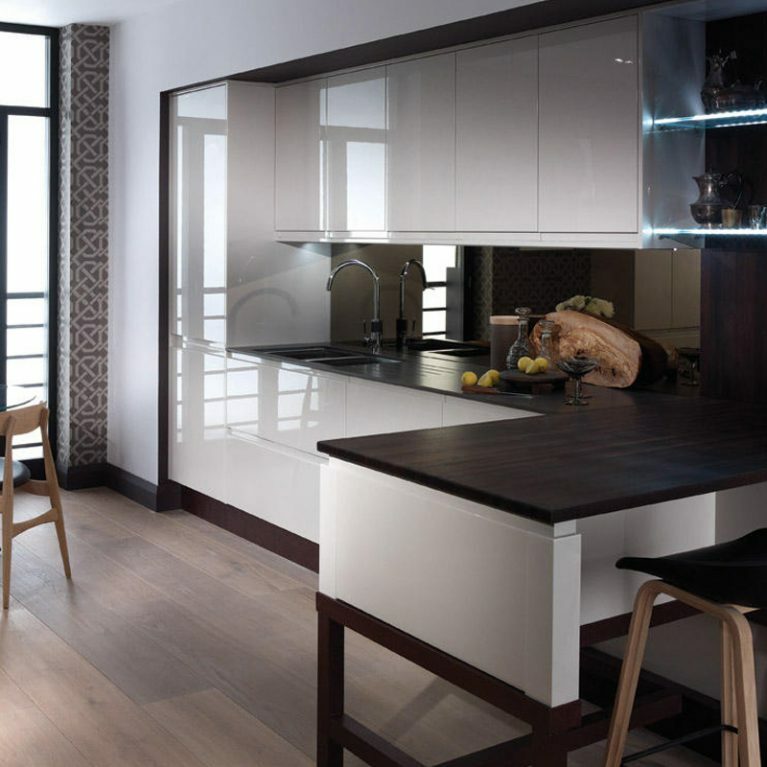 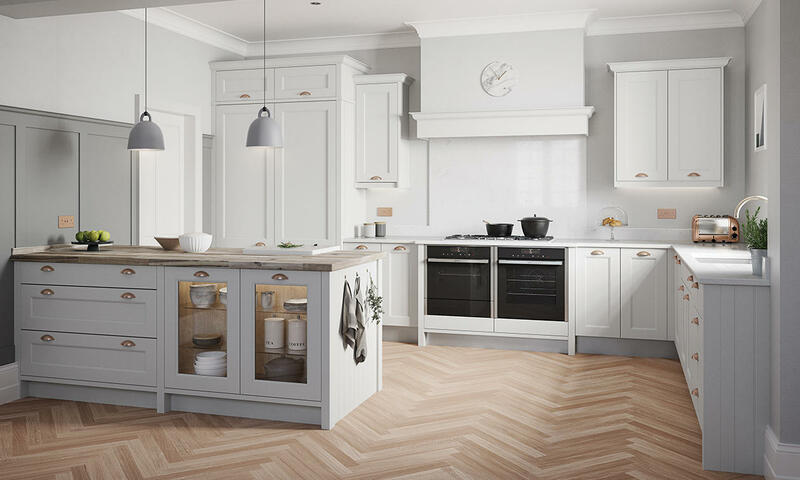 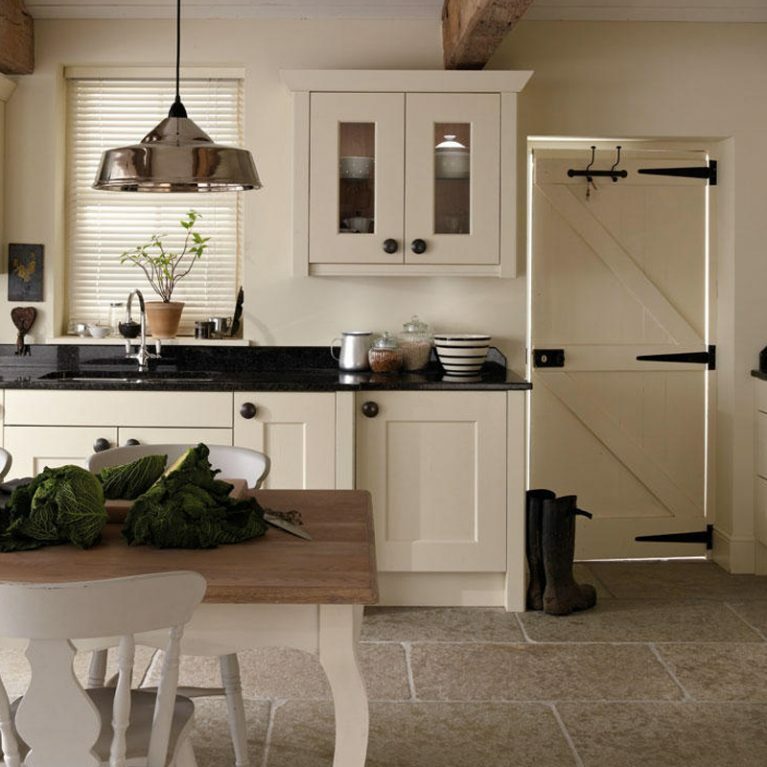 This stunning ash door fitted kitchen design features a subtle yet striking quarter round bead, creating a wonderful level of detail to your kitchen doors and cupboards, creating a truly beautiful look that will remain stylish as the years pass. 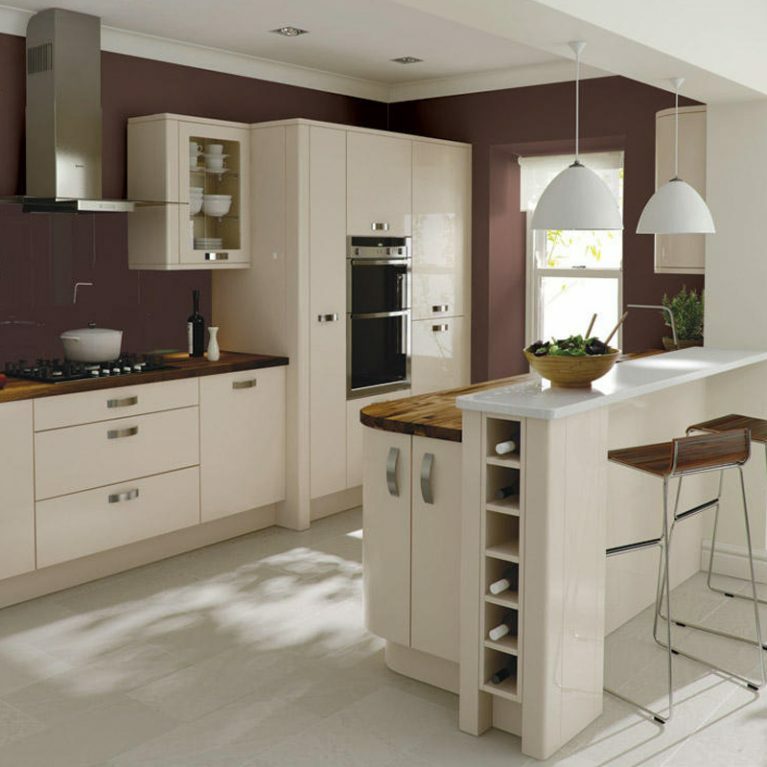 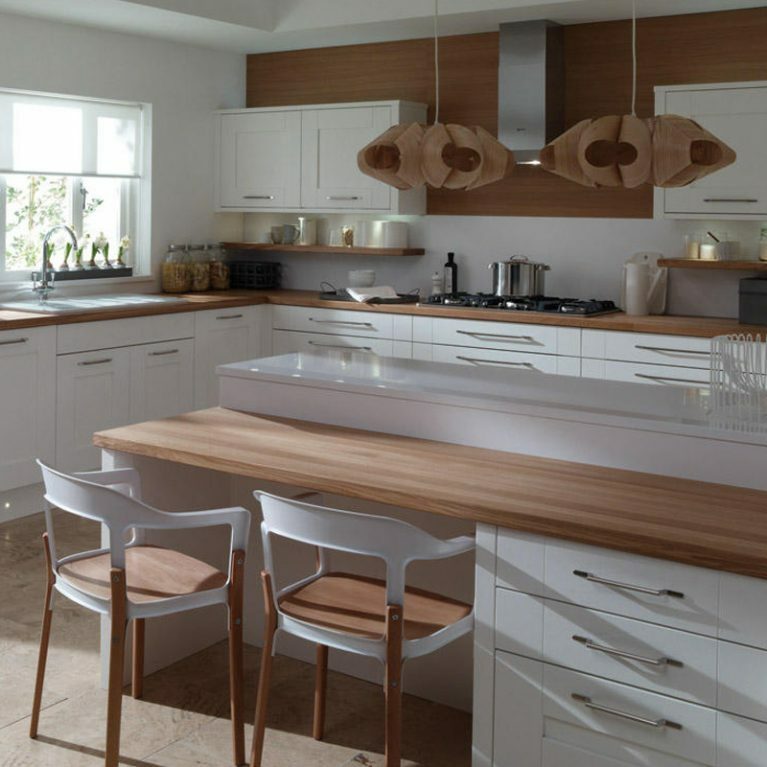 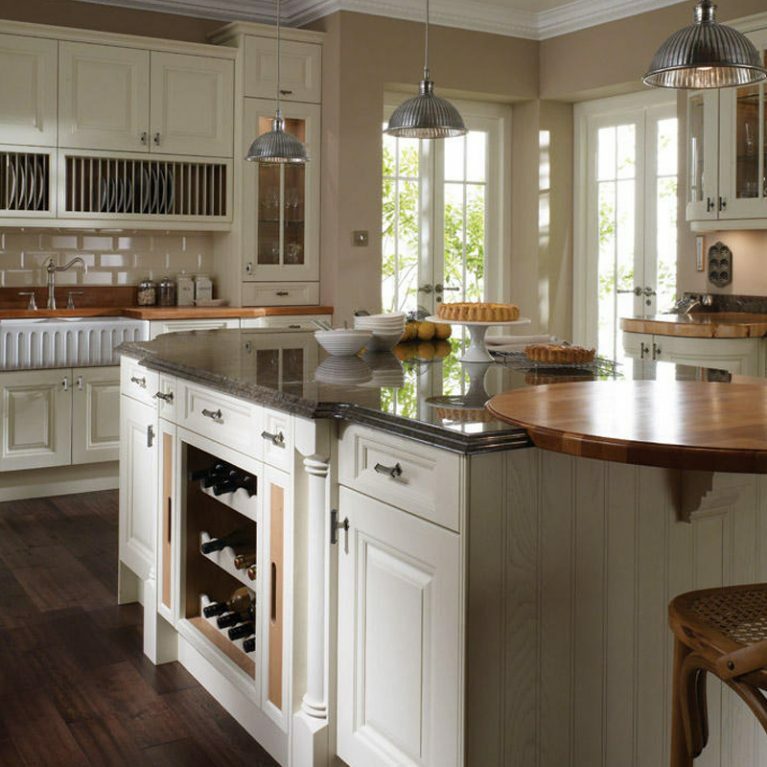 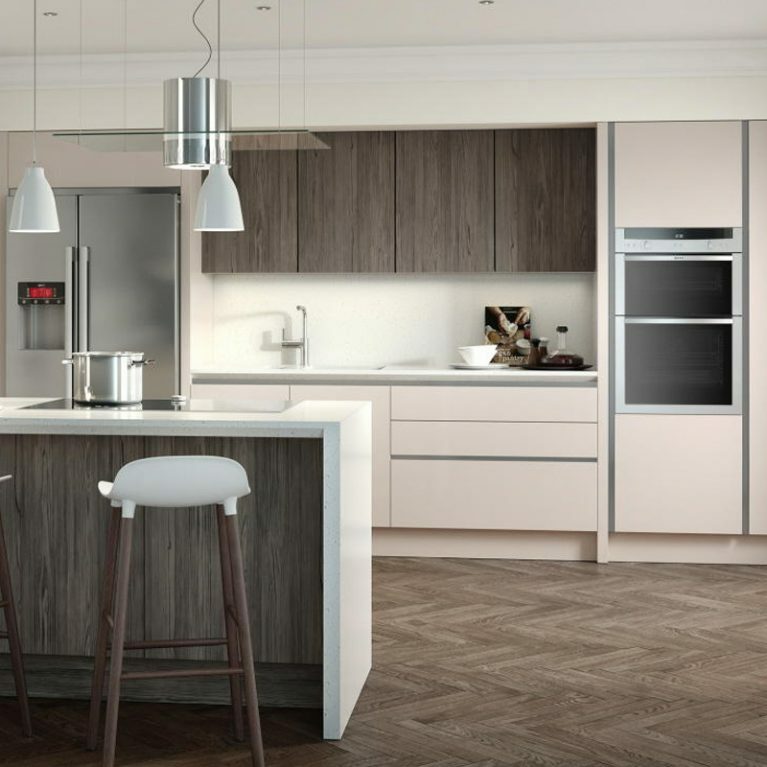 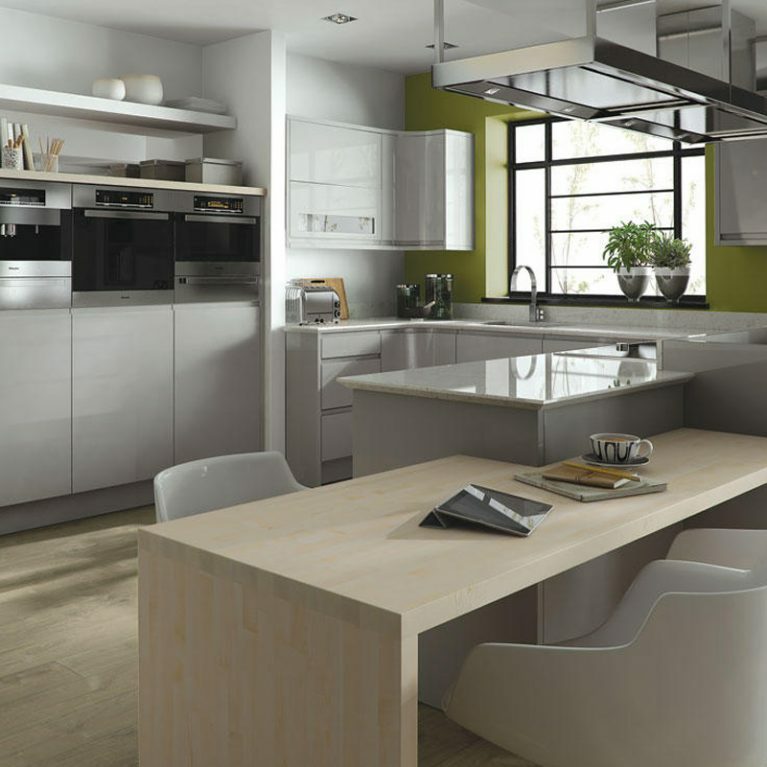 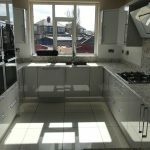 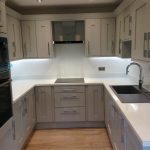 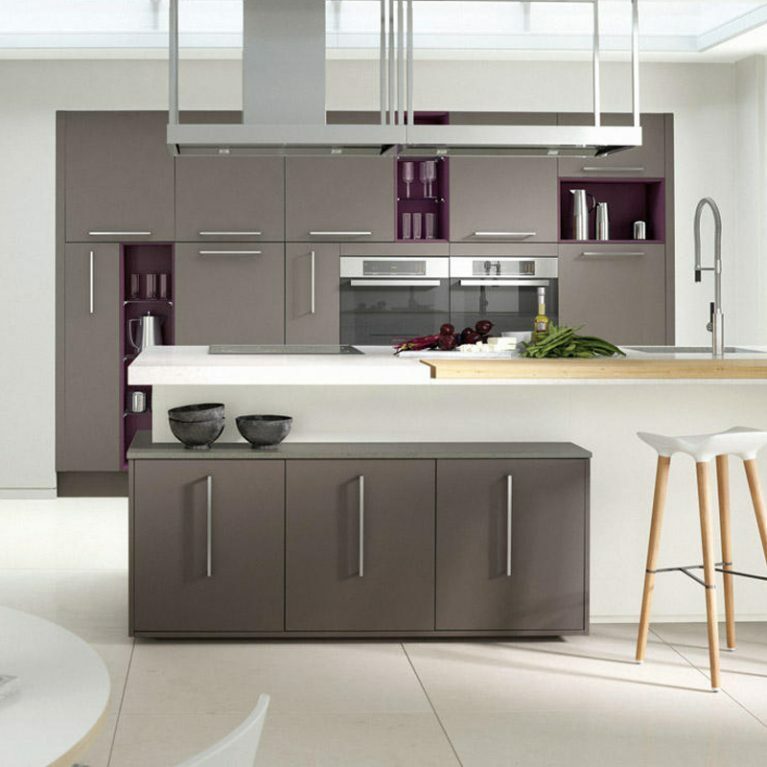 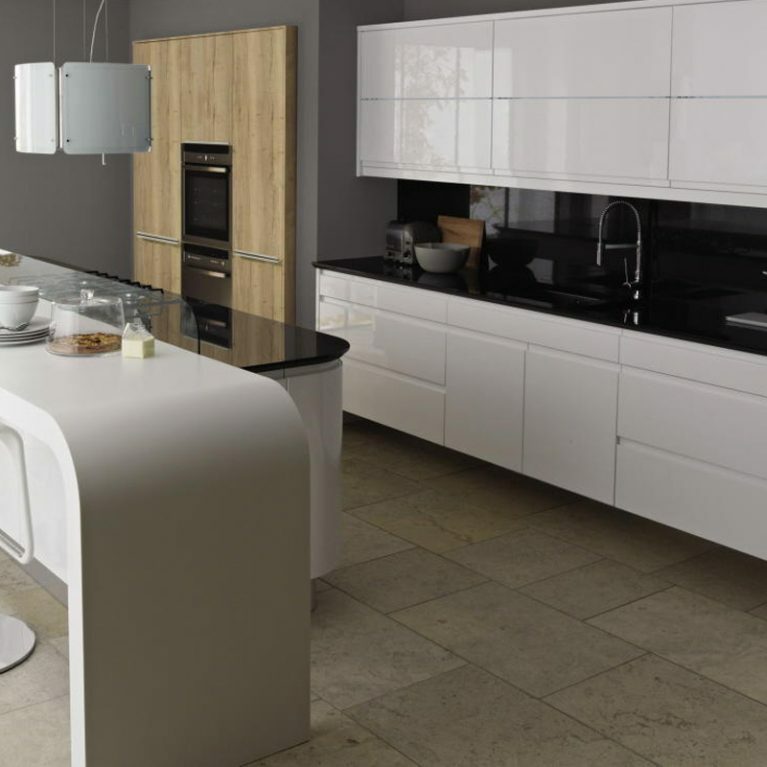 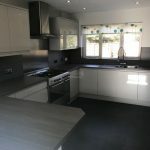 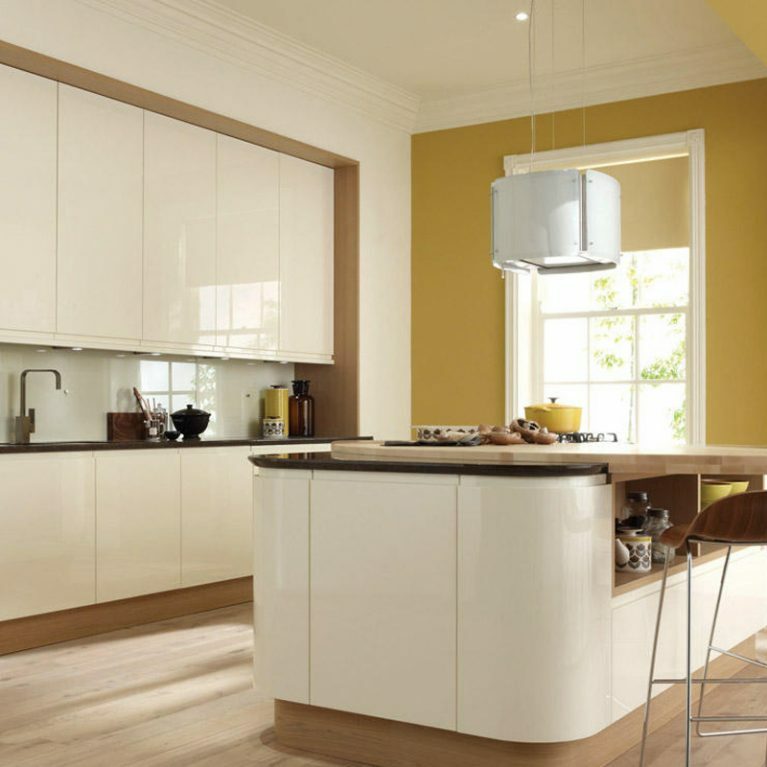 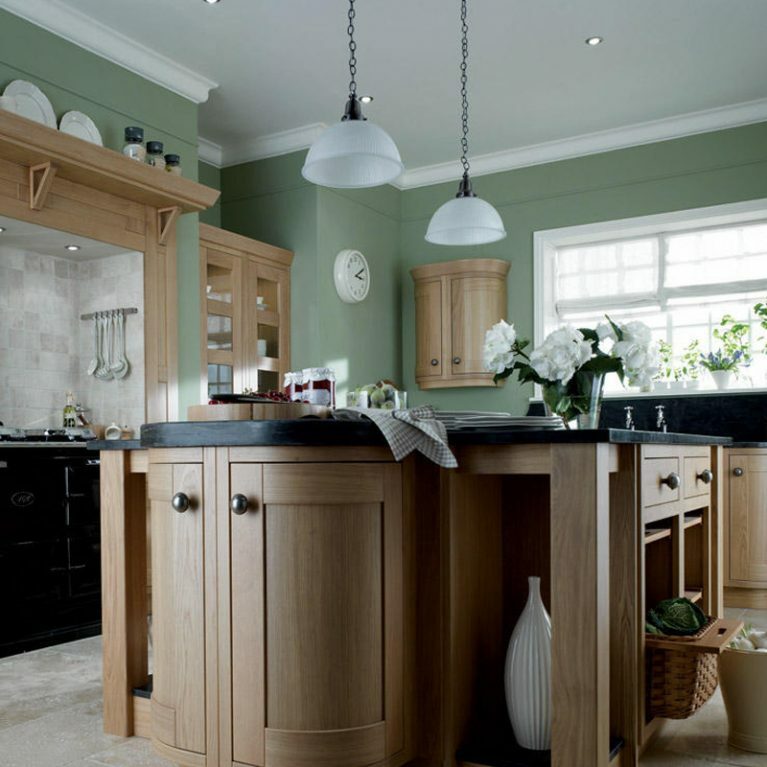 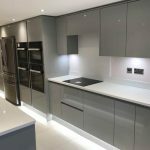 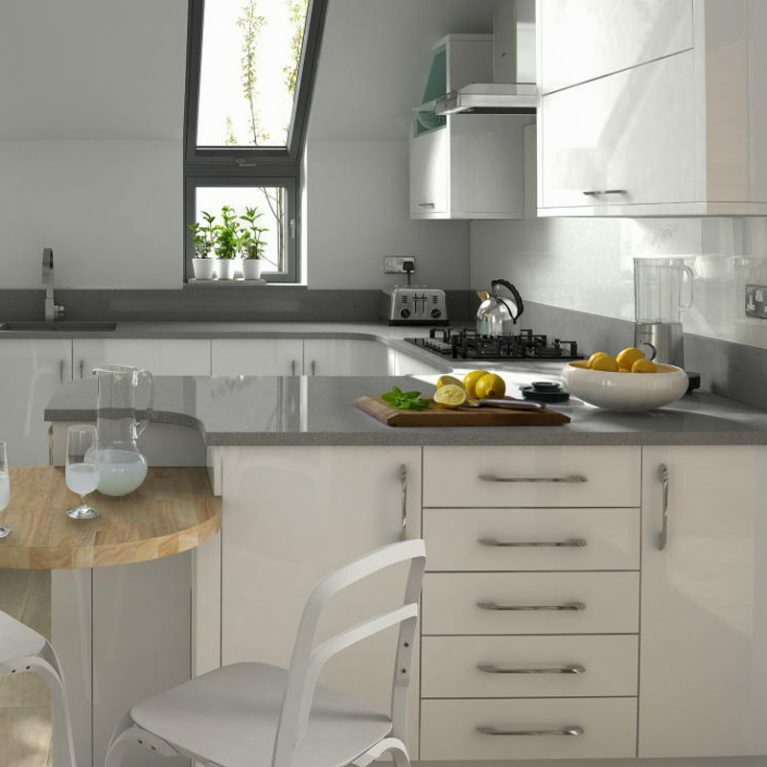 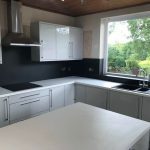 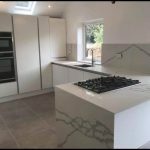 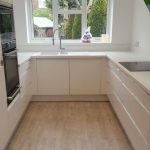 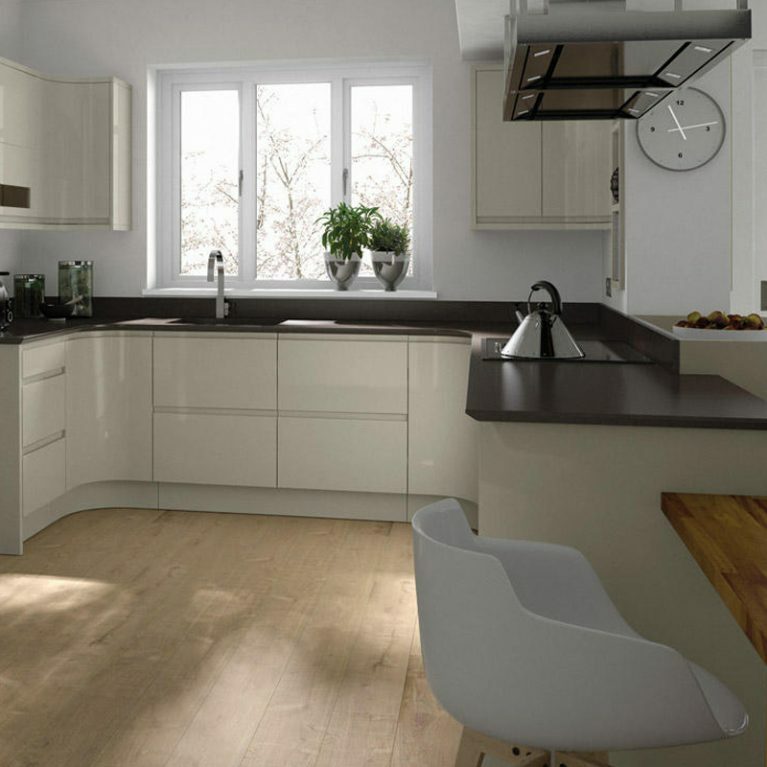 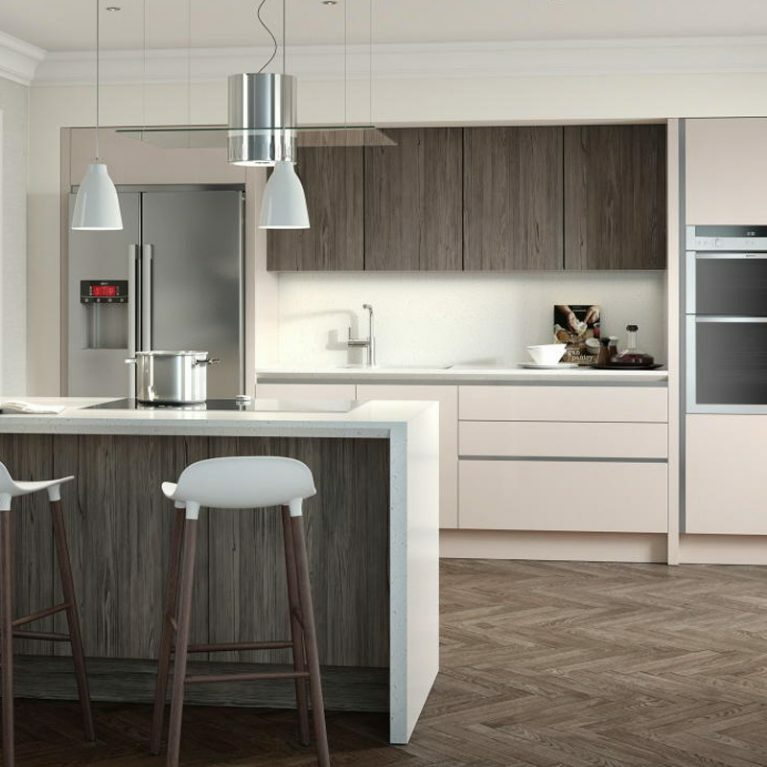 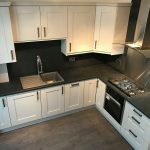 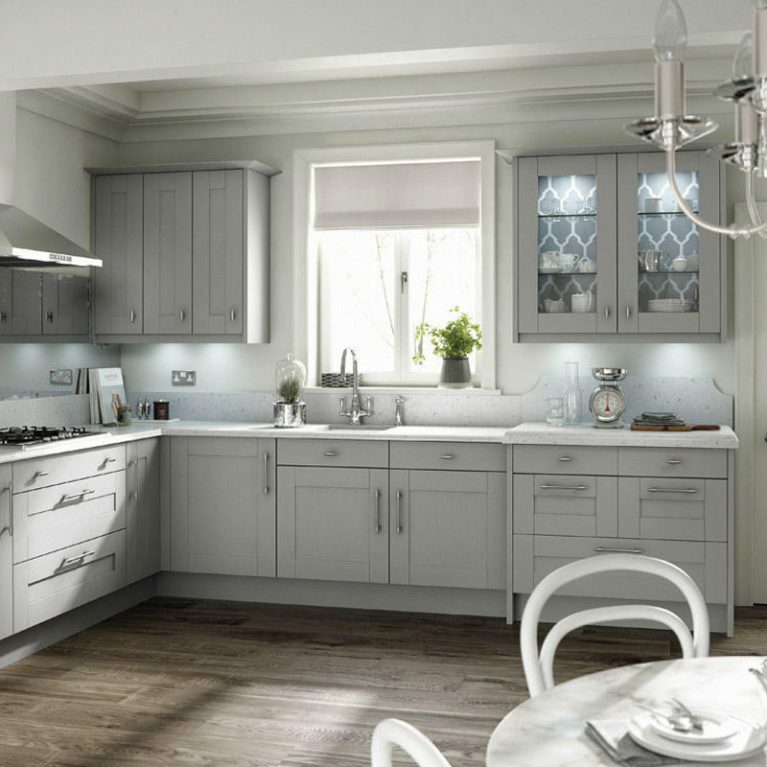 This gorgeous fitted kitchen design has a smooth and sleek work surface which perfectly compliments the ash door fittings. 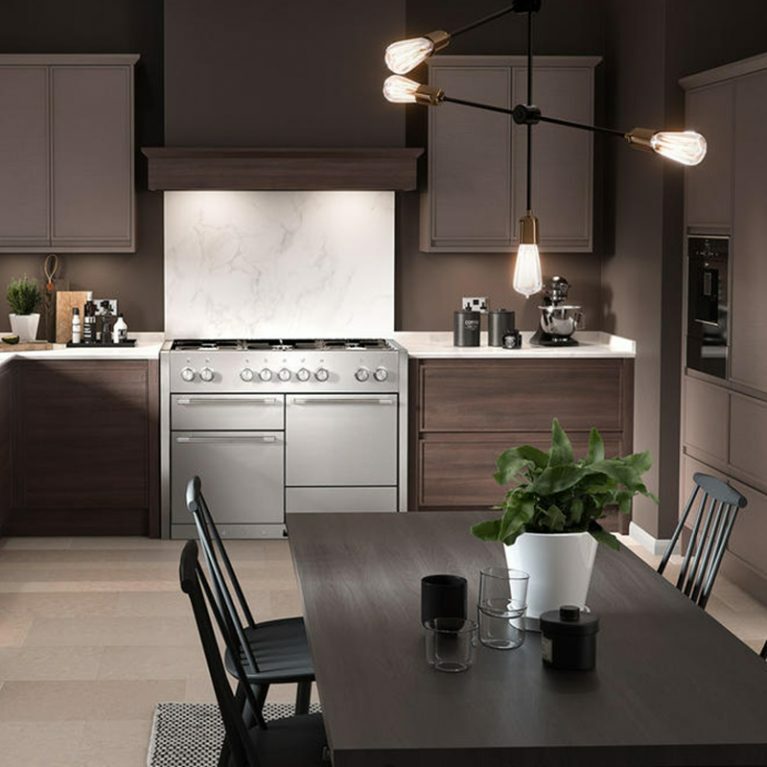 Offering a sunk-in sink area complete with a cool chrome faucet feature, the Mornington Beaded really makes the most of your kitchen, offering a huge amount of floor space which is perfect for entertaining and cooking with a little flair. 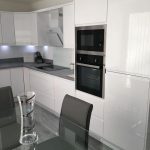 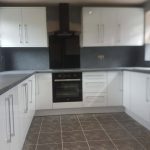 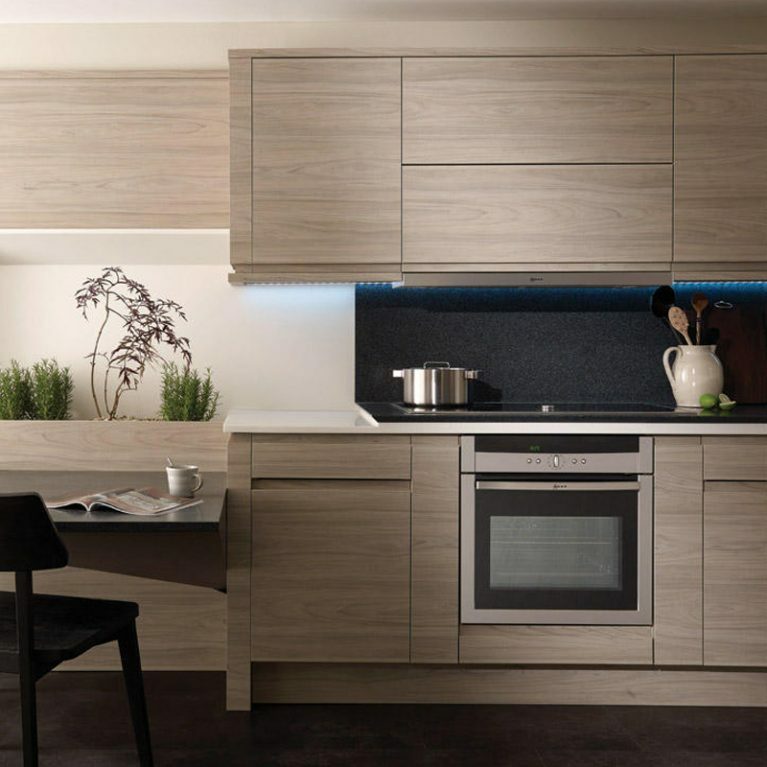 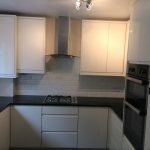 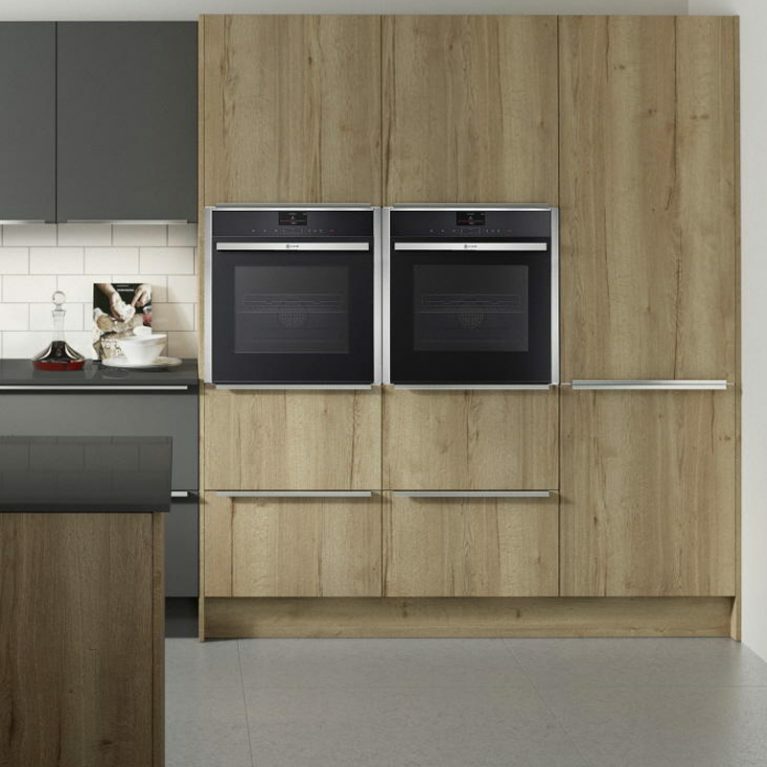 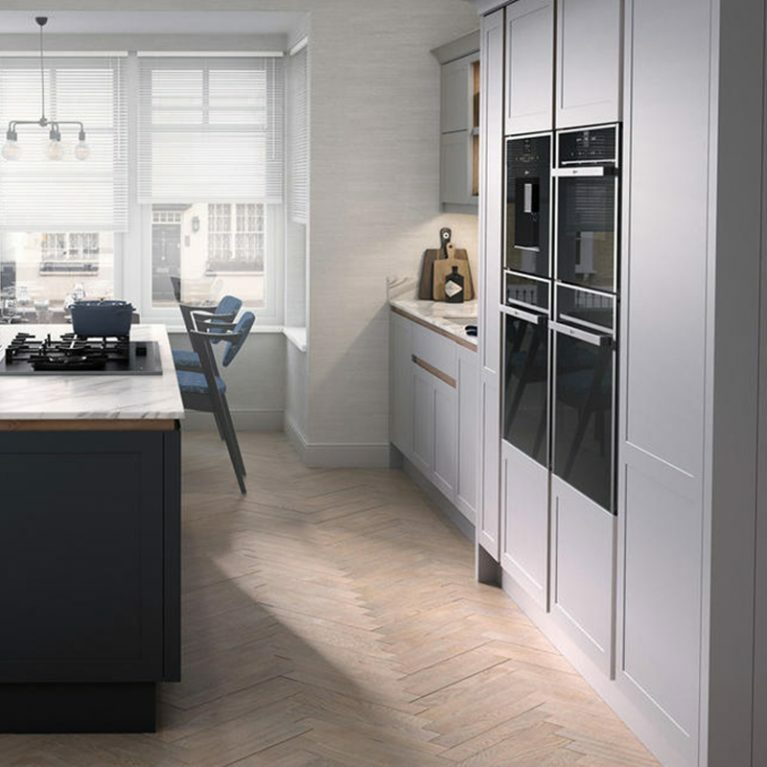 You’ll also find a built-in area for your oven and equipment, as well as plenty of upper and lower cupboard options finished with stunning ash doors. 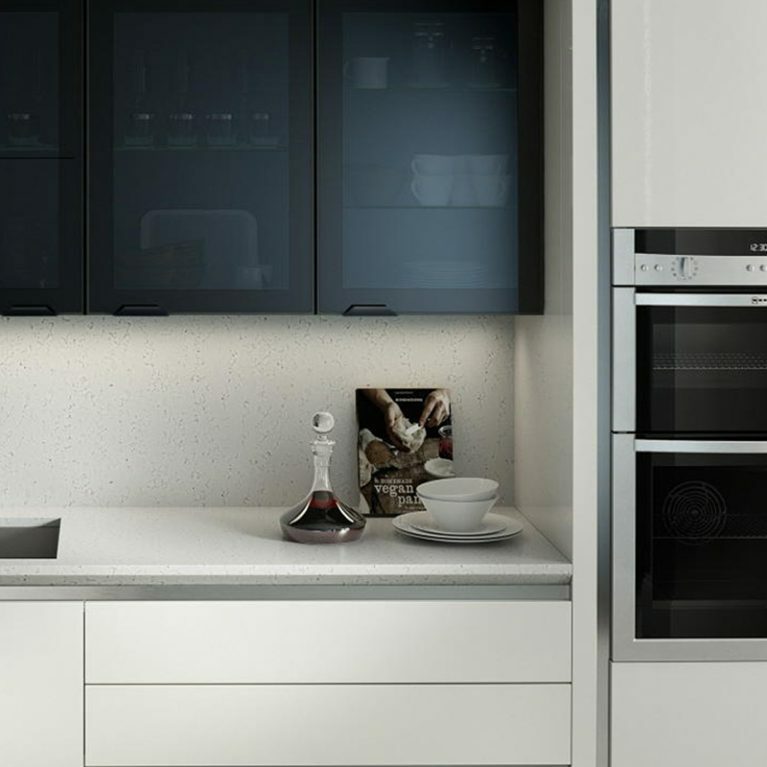 Not only that, but you’ll be blown away by the amount of surface space available, making food preparing an absolute breeze. 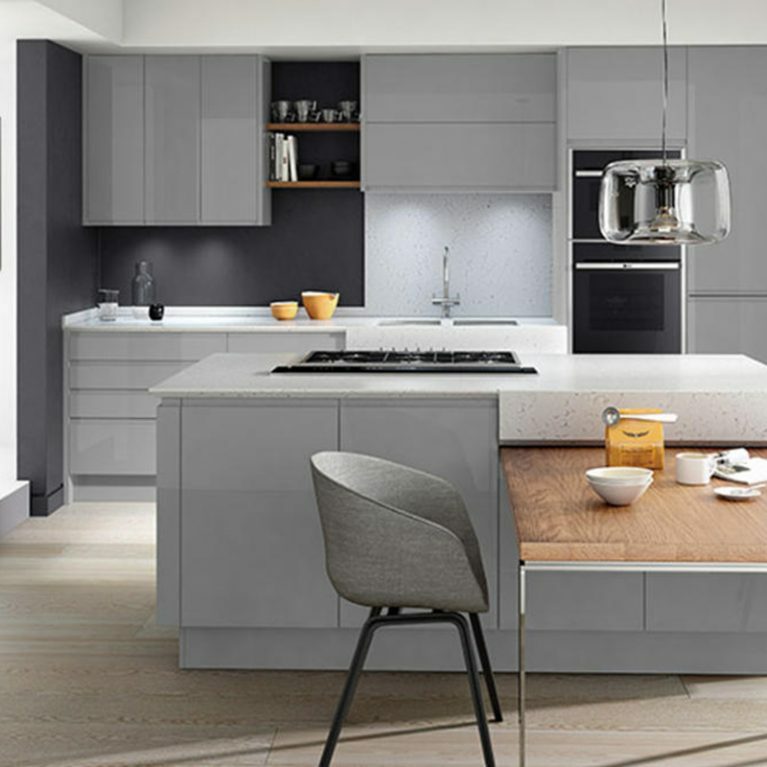 The Mornington Beaded is complete with a standalone dresser, yet again maximising your space opportunity but also helping to add to the gorgeous open feel of your new kitchen. 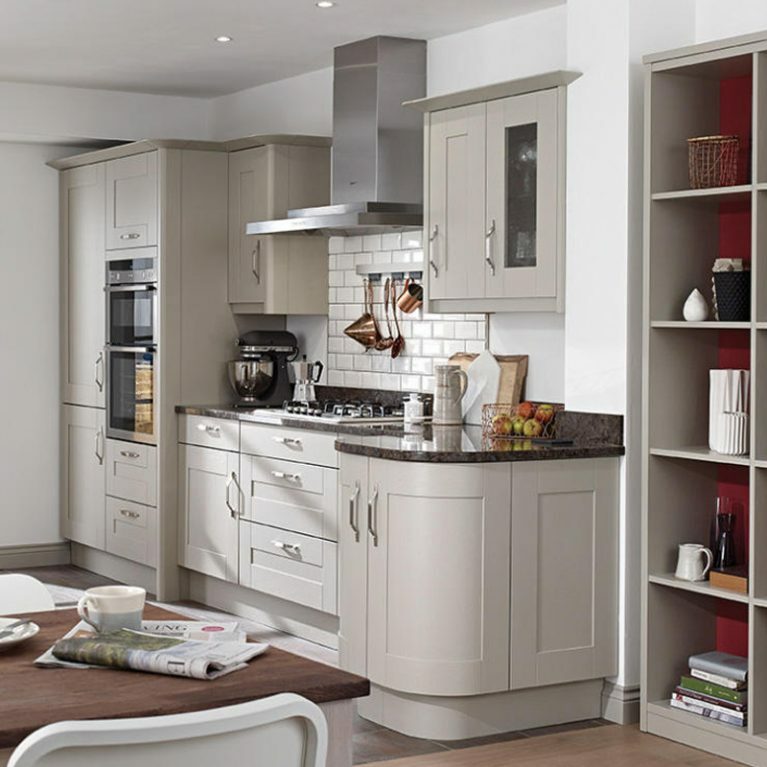 The dresser is a perfect storage solution which is also elegant and stylish, taking your kitchen design to the next level. 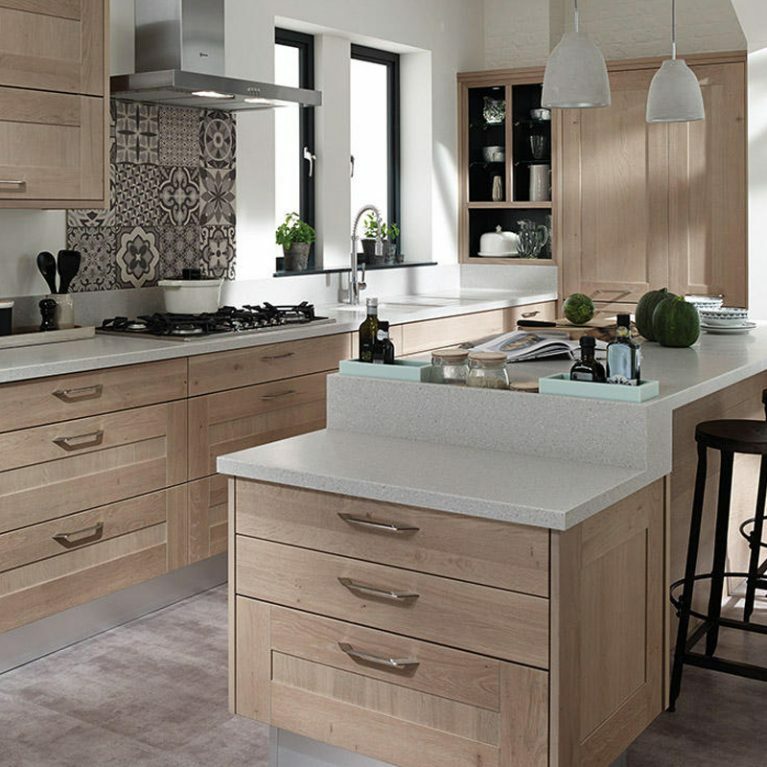 You can choose from 27 stunning colours for your Mornington Beaded, from bold and brash to more subtle and neutral hues, each of which is available in a matte finish for a smooth and sleek look. 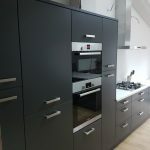 Offering cupboard space aplenty and unique curved, rounded cupboards for a truly seamless design, you’ll find plenty of space for all your kitchen equipment. 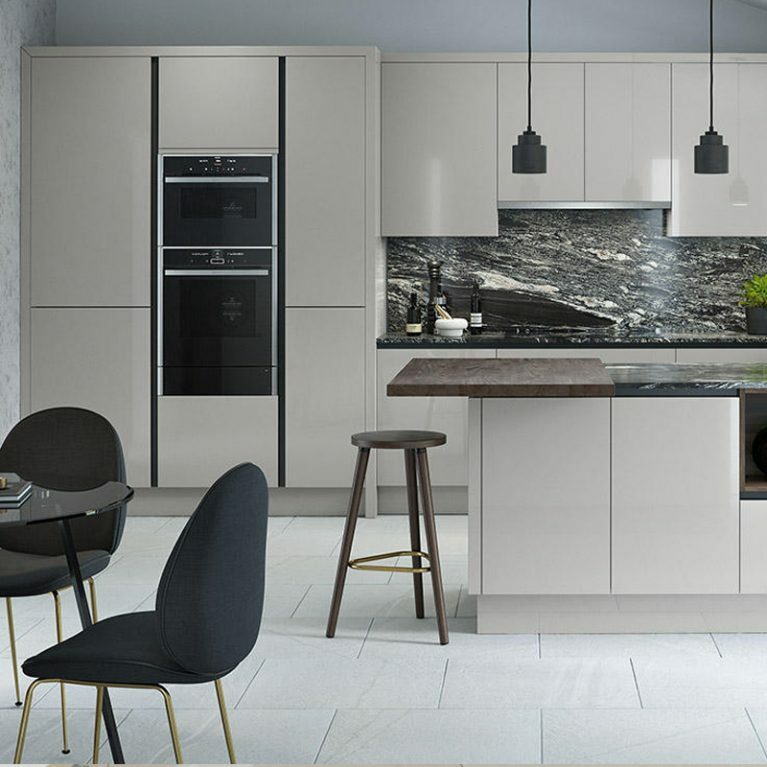 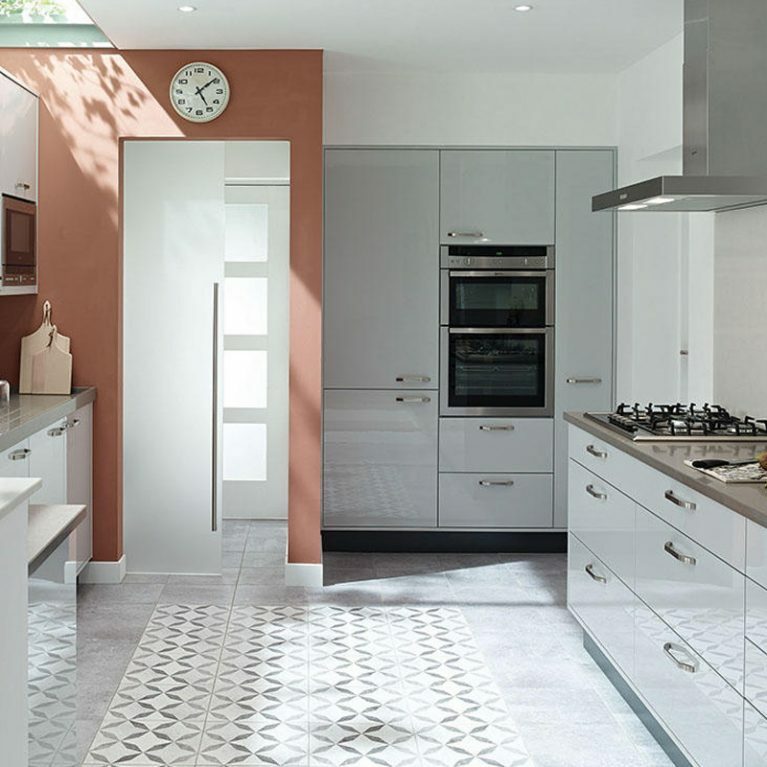 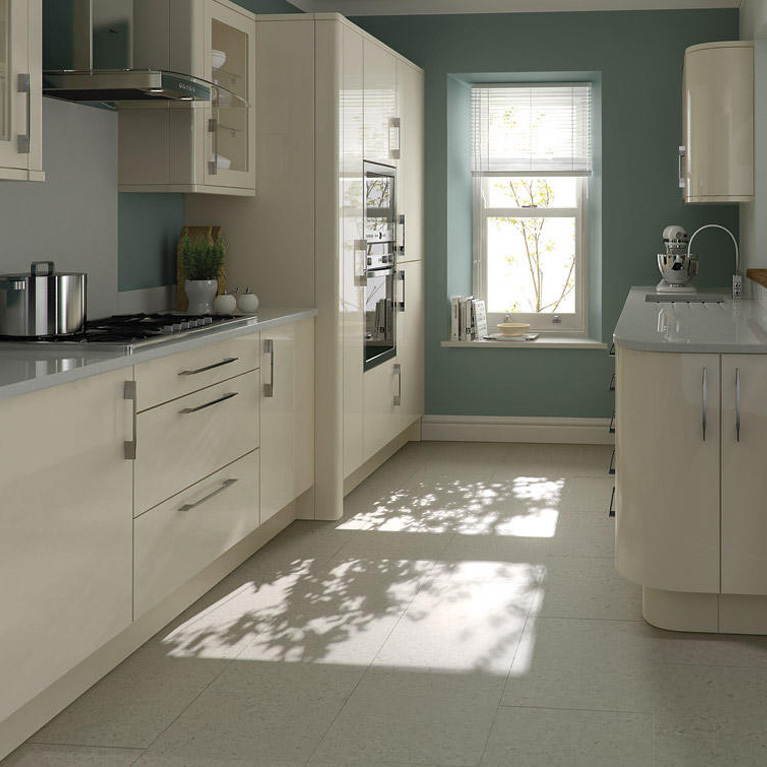 The chunky and smooth chrome handles add a contemporary twist to this classic ash door fitted kitchen design, ensuring that no matter which colour you choose, you always have a modern finish.